In honor of the 50th Anniversary of the National Trails System, the American Hiking Society is encouraging people to leave the trail better than they found it during National Trails Day. 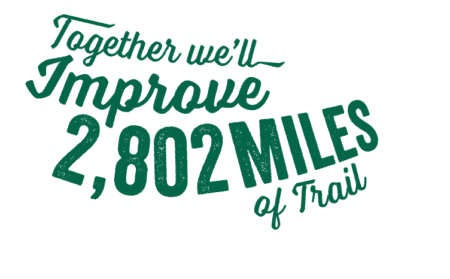 Take the pledge to pack out trash, join a trail work project, or clean up a park to collectively improve 2,802 miles of trail (the distance across the U.S.) on June 2nd. Everyone who commits to improve trails and parks will be entered to win weekly giveaways of swag and outdoor gear.